The JA Company programme (CP) has a positive impact on students and society, new research confirms. Preliminary results indicate that students involved in JA Company programme for 100 hours or more do better in several areas. The Innovation Clusters for Entrepreneurship Education (ICEE) is a 3-year international policy experiment and research project evaluating the impact of entrepreneurship education. 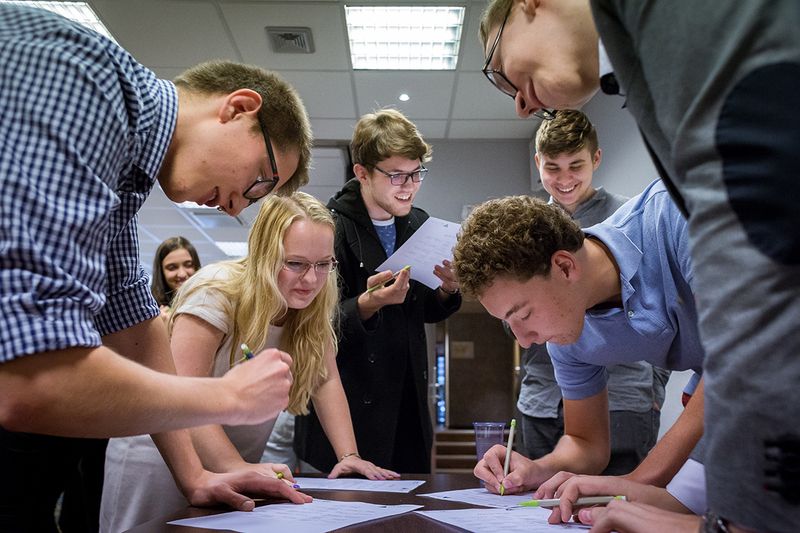 Setting up a ‘mini-company’ is regarded as one of the most effective entrepreneurial experiences available for young people, and the project uses the JA Company Programme at secondary schools. Previous research in Norway, Sweden and Denmark shows positive indications of the successful achievement of learning outcomes, increased student engagement and long-term outcomes such as higher start-up rates among alumni. The main activity in the ICEE project is to carry out a field trial over two school years among students between 15 and 20 years of age in five countries (Belgium/Flanders, Estonia, Finland, Italy and Latvia). Pre- and post-test survey data are used to measure the impact of CP. From the 1st year of study we can see that those with medium/high CP-activity (defined as 100 hours and more) had significantly higher scores in several areas, as compared to those with low activity or none: “ability to coordinate activities”, “decision making skills”, “presentation skills”, “taking initiative” in addition to perceived feasibility and perceived desirability for self-employment. We also find increased learning in key competence areas such as: “oral communication”, “written communication”, “social competence”, “cultural awareness and expression”, and “civic competence”.